Dine and dance with your guests in the tasteful Benedict, Abbots or Cafe rooms in the Event Center building. The Benedict room can accommodate up to 275+, the Abbots room or Café up to 70. 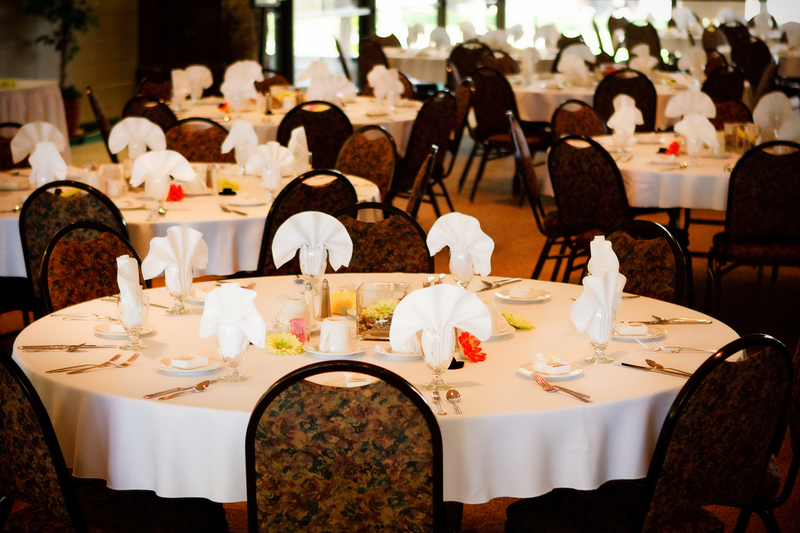 You can expect individual attention to help your reception to go smoothly, complimentary services, customized menus and our on-site coordinator services to ensure your day is stress-free. Our on premise catering staff provides great tasting food with outstanding service at a very competitive price. A Bounty of Beautiful Extras: Mirror Tiles, Charger Plates, Centerpieces, 4 roman columns (8’ tall), photo easels, table numbers, lighted Fichus trees and much more that is available for your use at no additional charge, a great way to help with your budget. 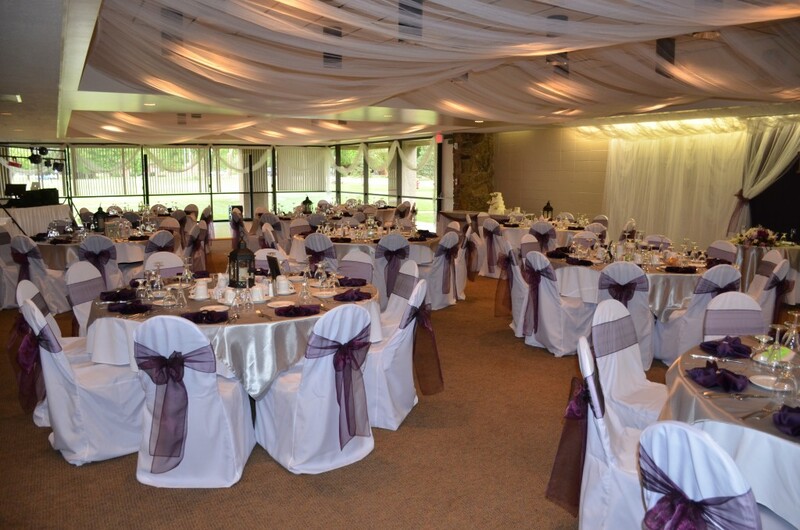 A beautiful banquet room with open space and mountain views. 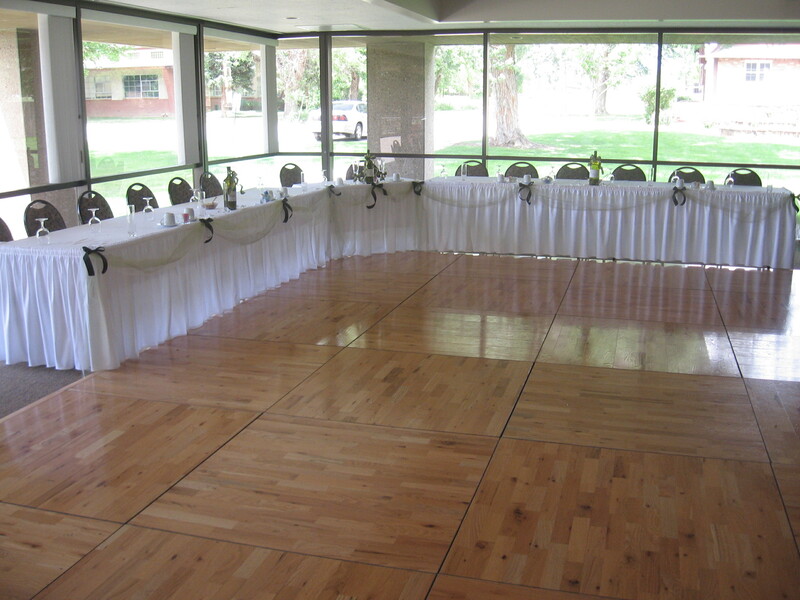 The Benedict room can accommodate up to 275+, with room for a dance floor, head table, cake table, gift table and space for a DJ or small band. Perfect for a small, intimate reception the Abbots room can accommodate up to 70 or Café room can accommodate up to 90, with room for a small dance floor, head table, cake table and gift table. The Abbey allows you the freedom to use your own vendors for linens (if you would prefer colored linens) cake/dessert, décor and entertainment. Liquor may not be brought into the Abbey Event Center Building or grounds immediately surrounding the Event Center building including patio areas and parking lot per our liquor license rules. Menus– our menus range in price from $14.00 to $30.00 per person (+ sales tax and gratuity). Your menu may be customized for your event, your coordinator will work with you to help make the best choices. Tastings may be arranged with your coordinator. Decorations– if no other event is taking place in the room you have reserved, you may come in the afternoon before to decorate. If that is not possible, you may come in after 9:00 am the day of your event to decorate. A limited amount of decorating time is allowed and must be arranged in advance with your coordinator. Any décor items you wish to keep must be removed at the end of your event.